Regardless of size or industry, all companies use technology in some way to deliver their products and services. Joyce Insurance Group offers cyber insurance services that can help better protect your business. Contact us today at (570) 655-2831 for a free cyber liability assessment or request quote online. 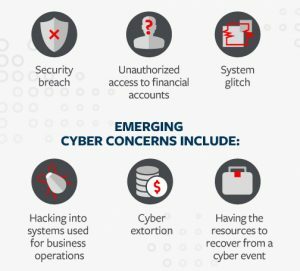 As our reliance on technology and data continues to increase, cyber risks do as well. Learn more about these risks, and how the services offered can help you protect your business. 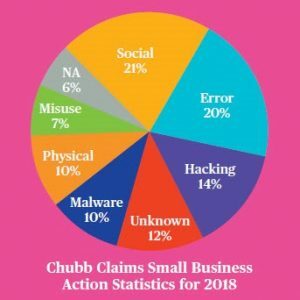 According to the HIPAA report, 2018 witnessed a 157.67% year-over-year surge in the number of exposed healthcare records in the US. As much as 80% of the data generated by the healthcare industry is likely to be in the cloud by 2020. Security is also becoming a major concern. The trending digitalization, such as the cloud, Big Data, mobile technologies, IoT, and artificial intelligence (AI), in ever more areas of business and society, and the growing connectivity of everything, have increased the workload of already strained IT teams.